I'm New to Twitter - What Should I Tweet? Okay, so you created your Twitter account. Now what? Social media is for sharing information and building relationships. But what should I tweet about? Tweet about the things you’re doing (e.g. things you’ve seen, movies you’ve watched, or books you’ve read). Include pictures to build interest. Include appropriate hashtags (#) (e.g. #writingtips, #dogs #writingjourney), so others searching for that hashtag can see your post. Search hashtags of things you’re interested in. When you type a hashtag in your tweet, you’ll see a drop-down list of related ones. Share others’ celebrations. Retweet about your friends’ good news. If you attend a book signing, conference, or workshop, take a picture and tweet it. 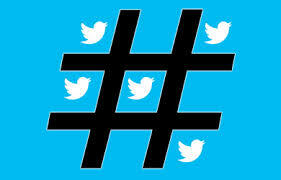 Many events will have their own hashtag and that will promote your tweet to other attendees. If you attend events with others, add a short video or a picture and tag them. (Type the @ sign and their Twitter handle e.g. @HeatherWeidner1 to tag someone.) People like to be recognized. If you blog, tweet a link to your blog post and add the appropriate hashtags. This will drive Twitter traffic to your blog/website. Twitter has a direct message (DM) feature. This is a conversation between the two parties, and it’s not a tweet that everyone can see. I would use this feature sparingly with people I need to communicate with. Some people set up an automatic direct message to new followers with an ad or promotional information. This is often annoying if it’s unsolicited. The goal is to get your tweet noticed (liked, retweeted, or commented on). Each interaction spreads your reach on the site. Look at your past tweets. If they’re not getting attention, I’d change my content. Certain tweets will generate more interaction than others. You can mute or block others if you need to. Sometimes, there are unpleasant folks or bots that troll others. A block keeps them from contacting you or commenting on your posts. Mute removes them from your feed. You can also report accounts to Twitter. Have fun with the site. I do a lot of research on Twitter. Sometimes, I’ll have a specific question, and there are so many kind people who will share their knowledge and experiences. For example, I ruptured my Achilles a while back, and so many people where helpful with advice about recovery and physical therapy. I also got an InstantPot recently, and Twitter has been great for sharing recipes. If you want to start a conversation, ask a question and include hashtags. You’ll be surprised at the responses you’ll get. Remember the social part. You need to reply to others’ conversations promptly. It looks weird if you comment on something months later. What else would you add to my list? See you on Twitter! I’m doing a workshop next spring on social media, and I’ve been thinking about things that authors should and shouldn’t do on the different platforms. Here’s my list so far. 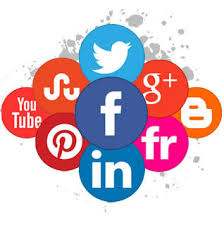 It is a great time saver to link your social media accounts, so that you only have to post once. However, the audiences and their interactions are different on Twitter, Facebook, and Instagram. For example, some encourage lots of hashtags. If you post a meme to Facebook and it autoposts to Twitter, it shows your comment and a link. Your Twitter followers have no idea what it is unless the open the link. If possible, I think you should tailor the post to the social media platform. Unless you have a REALLY good reason to do so, don’t use the automated direct messaging on social media sites. It’s a quick way to annoy followers. I can’t tell you how many automated DMs I get a week with a link to buy someone’s book. If you’re an author, make sure you follow the 80/20 rule. No more than 20% of your posts (maybe less) should be “buy my book.” People are interested in conversations, building relationships, and interesting content. They’ll tune you out if you blast buy my book messages constantly. Try to be timely with your social media responses. It’s odd when someone responds to a post or comment from months ago. Avoid posting things that aren’t meaningful or interesting. Some cleanup applications will post after you clean up non-followers. The post will read something like, “I deleted 115 followers and added 38 today.” These are only advertisements for the cleanup app. Do not respond to negative reviews. Don’t get into a social media battle. It’s public, and once it’s out there, it’s hard to clean up. You are your brand. Be careful not to damage it. Think before you post something. Don’t respond to someone in anger. You can delete it, but it may not be gone forever. Old tweets and posts can come back to haunt you. If someone posts something negative on your site, you need to monitor it and decide whether to delete it. I facilitate several group sites, and we have to review posts from time to time to make sure they represent the views of the group. Don’t be a leech. Authors will often post something about their book on their sites or blog, and another author will comment with links to his/her book. Only include your information if there is an invitation to share links. Don’t hijack someone else’s post. Help others celebrate. If there is a cover reveal or a new book, share it. If you’re struggling to find things to share, post a picture or information about interesting places or events you’ve attended. If you’re at another author’s event, post a picture of him/her and the book. Make sure to tag others. If you have pets, include them. People love to see that you’ve tagged them, and often they will comment or share the post. This helps both of you with your social media reach. If you’re using a picture of others, make sure that it’s flattering. I have one friend who never looks at the picture closely. No one wants to be the one with his/her eyes closed in the group picture. What else would you add to my list? Any social media pet peeves? After a while, your newsfeeds in Facebook and Twitter become jam-packed with updates from friends, pages you've liked, and promotions. And the social media sites are always tweaking their algorithms to adjust what you see. There are groups of people that I like to keep up with so, I create lists in Facebook and Twitter to organize my newsfeeds. I like to see what members in my writing groups, critique groups, and anthologies are talking about. I group them in lists, and when I select to view it, I get all their latest posts in one place. My instructions for creating lists are from the web version of each of the social media sites. If you're using the application version, the links may be in different places. For Facebook, open your personal site. Look on the far left list of links and locate "Explore." Move down the list and click on Friend Lists. Click the Create List button. When the dialog box appears, name your list and add people. Save your list. The new list will appear under your "Friend Lists." Click it to see a newsfeed filled with posts from people you added. To create a list in Twitter, click your photo in the upper right corner. When the drop-down appears, click Lists. The Lists page appears with all the lists that you're a part of. Click Create New List in the top right corner. Name your list and provide a description. Save it. You can add people to your list. Note, if you add someone to a list in Twitter, it appears on their updates page. Twitter lists are fun. Others have added me to quite a few lists. I'm in one for redheads. Someone else created a Twitter list of "Heathers." It's neat to see what's out there. You do have the option to remove yourself from a list if you choose. This is one way that I organize my social media time, so I can see the items that I'm looking for instead of wading through lots of other posts. Let's connect on Facebook, Twitter, or other social media sites. Drop me a line or add me to a list. I look forward to hearing from you. There are so many social media sites, and it can be overwhelming. I heard some good advice at a conference a while back -- "You can't do it all." Authors feel they need to be everywhere -- all the time. And sometimes, that takes me away from writing and editing. Here are the sites that I'm more active with and how I use them. Facebook - I have a personal page, an author page, and a group page for superfans. My personal page has information that I share with friends and family. I share book things on my author page, and my fan group is for previews and early review requests. I like to use Facebook to keep up with people, learn about new events, and see what everybody's reading or writing. I probably post more to my author page than I do my personal one. I also occasionally boost posts about look launches and sales on the author page. I also create events for meetings or signings that I like to invite people to. Make sure to tag people that appear in your photos or posts. Twitter - I use Twitter to keep up with the book world and all my mystery reader and writer friends. I like to share others' information and celebrations. I use Tweepi to manage my Twitter followers. Often there are accounts that follow you, and then they drop you shortly after. I use TweetDeck to schedule posts. I also make lists to keep up with different groups of people. The lists help me organize groups of folks that I'm interested in, so I can see their tweets. I tweet links to my blog posts and announcements about my books. I also try to share good content from others. If you tweet about events or post pictures, make sure to tag those who are with you. Instagram - I love looking at and taking pictures. I can spend hours flipping through Instagram. I post pictures of what I'm doing. My dogs get a lot of face time on my account. I always try to take pictures at all the events I go to. Make sure to tag anyone with you in your photos. Pinterest - Did I mention that I love looking at pictures? I have Pinterest boards for all kinds of things that I want to see again. I create boards for all my books and stories. I save pictures of what my characters and settings look like. I also have a board of blog posts. I also have boards for crafts and recipes that I want to try. LinkedIn - This is my "professional" social media site that has my key jobs and skills. I use this for business networking. I have also started to post links to my blog here. My recommendation is to find the sites that you like to interact with and try to focus your time on those. You should have a presence on the others, but I would concentrate on a few. I try to schedule my social media time throughout the day. I catch up at breakfast. (Yes, I tweet at 5:30 AM.) I try to check on my sites at lunch, and then I scroll through my sites after dinner. I attended a presentation by Jane Friedman at the Virginia Romance Writers' meeting. Friedman is a wealth of knowledge about book marketing and the publishing industry. Check out her website, blog, and newsletters. It's well worth your time. Here's what I learned about author platforms. 1. As a writer, your platform grows out of your body of work. Your website and blog should be the center of this. Also, your website and blog should be on the same website. 2. Use your website, blog, newsletter, and your social media sites to build readership. Your platform is not just your social media sites. 3. Know who your readers are. It shouldn't be "the whole world." You need to be narrow and focused (e.g. cozy mystery readers, romantic suspense, etc.). She described this with a funnel diagram. It's wide at the opening, but you want to narrow it down at the bottom to your specific readers. Those are the folks you need to focus on. 4. Identify authors who are similar to you. Look at their websites, blogs, and Amazon author pages. See how they brand themselves. 5. The key is to build your audience. Readers like interaction and engagement. 6. Plan your give-aways strategically. These should be lead magnets (to generate new leads and new readers). Afterwards, look back to see how successful the contest was. 7. Be patient. It takes a while to grow an audience. Keep writing. 8. Check out Wattpad and Instapoets on Instagram. These are two interesting ways to promote writing. 9. Make sure your posts and newsletters reflect you and your personality. Talk to your readers on a personal level. 10. Make sure your name, tagline, and brand are clear on all your sites. Make sure that your website is linked to all of your social media sites. 11. Friedman suggested that you have a separate page on your website for each book to optimize your SEO (Search Engine Optimization). Make sure you include buy buttons for all key retailers. 12. Make sure your website has a clean presentation. The most important thing should be the biggest and be first. All things on your front page shouldn't be of equal size/importance. 13. It takes time to find the right approach for you. This is a continual process that you'll refine over time. 14. Show up every day and be engaged. 15. Build your body of work. I am grateful for my writer friends who helped me get started with Twitter many years ago. (Thank you, Krista Davis!) In the beginning it was a bit confusing, and frankly, I wasn't sure what I was supposed to do. Here are my Twitter 101 notes for people who are thinking about venturing out into the Twittersphere. 1. This is a social media platform, and conversations are encouraged. The goal isn't to post a few things and leave. Interaction is key. If you can't stay glued to it for hours, check back in occasionally and respond to conversations. 2. Tweets with pictures tend to get more attention that those that are just text. 4. Use meaningful hashtags (e.g. #, pound sign, number sign). This allows people to follow specific hashtags to find your content. If I have a blog post on writing tips, I look for hashtags that would apply. Type # and then word, and Twitter will provide a list of commonly used ones. Make sure that you don't space between words (e.g. #WriterWednesday, #WritingTips #BookMarketing). 5. Remember the 80/20 rule when you do your book publicity. Twenty percent or fewer of your tweets should be "buy my book." Twitter is a social media platform for information sharing and conversations. 6. Celebrate others' successes and promote others with "likes" and "retweets." Retweets help spread the word. 7. Comment (reply) to others' tweets. This increases the engagement. 8. If you tweet about someone, tag them in a tweet. Type @ and their Twitter name. Type the @ and their name (no spaces), and Twitter will provide a list for you to choose from. For example, I'm @HeatherWeidner1. They will get a notification that you tagged them in a tweet. This provides them an easy way to reply or retweet. 9. If you see tweets with "Q" or "A" at the beginning, this is a Twitter party or Twitter chat. The moderator posts a question that's usually numbered (e.g. Q1, Q2, etc.). Then those who reply, type A and the corresponding number to keep the conversations organized. For example: Q1: What kind of dog to you have? A1: Two crazy Jack Russell Terriers. #dogs #JackRussells. 10. If you have an event that you're marketing, you may want to create your own hashtag. For example, I'm part of the Virginia is for Mysteries anthology series, and we use #VIFM in our tweets. When I want to see related tweets, I search for #VIFM, and I see anything that uses that hashtag. Note: You're not the only one using these hashtags. I always search for a hashtag before I use it to see what kind of posts are already there. 11. If you look at your Twitter analytics, you'll see numbers of impressions for weeks and months. Impressions are engagements on tweets that you send. This includes all interactions and replies. It's showing you how effective you are at reaching others. 12. Use Twitter analytics to see what kinds of interactions your tweets are generating. This shows number of likes, retweets, interactions, and link clicks within a certain amount of time. If you look at this periodically, you can see what types of tweets are getting the most attention. 13. Find accounts for people with interesting tweets. See who they follow and who follow them. You can follow their followers to add their tweets to your newsfeed. 14. I use TweetDeck (free version) to schedule tweets throughout the day. There are lots of schedulers. If you tweet regularly, see what works for you. I schedule things during the day and in the early morning hours. This helps me reach folks in different time zones. 15. I use Tweepi (paid version) to help me manage my followers. Sometimes, people follow you, and then they drop you after you've followed them back. Tweepi allows me to see accounts that aren't active and other metrics. It also suggests people to follow based on my interactions. 16. You can block others from your account if there's a need. You can also report issues to Twitter. 17. You can send direct messages to others. These are private messages that don't appear on newsfeeds publicly. If needed, you can delete these messages. A lot of accounts send direct messages when you follow them. I don't send automated messages because I tend to ignore them unless it's someone trying to get in touch with me. 18. Some accounts use tools like TrueTwit to validate followers. If you follow them, you may get a direct message from the application. If you don't validate, then you're not following that person. 19. Accounts with a tiny blue circle/checkmark by the name are Twitter validated accounts. It tells readers that they have the real account. There are a lot of fan and made up accounts out there. So unless there's this symbol by the account name, chances are the royal family really isn't following you. 20. You will get a lot of comments (replys) to what you post (good, bad, and ugly). Here's my two cents. You, as an author, are your brand. And posts on the Internet live forever (even if you delete them). If I find myself getting agitated or angry, I step back and take a minute or two to reread my response before I fire it off. I've always been told by social media experts to remind yourself, "Are you okay if this post is read in court?" and "Would you be okay to see this post on the front page of the paper?" 21. My newsfeed is cluttered with so many posts, that I don't always see folks that I'm interested in. I make Lists. When you add someone to your list, he/she gets a notification. (You can elect to remove yourself from a list if you' don't like the content.) You can make lists private or public. When I want to see posts from those people, I click on the list. You can also join others' public lists. I have different lists of authors who I follow. 23. I use Twitter for research (a lot). I'll post a question with some relevant hashtags, and you'd be surprised at all the help you get. Writers, this is a great way to find experts in certain areas. People are usually very willing to help and to answer questions. 24. Be polite. Thank and recognize people who help you or retweet you. What else would you add to the list? What was foreign to you when you started tweeting?